One of the most popular restaurants in Cheltenham, Prithvi, now has a new home at No. 38 The Park. The restaurant, which joins Superdry co-founder Julian Dunkerton’s The Lucky Onion group, is famous for its unique take on classic dishes with South Asian influences. 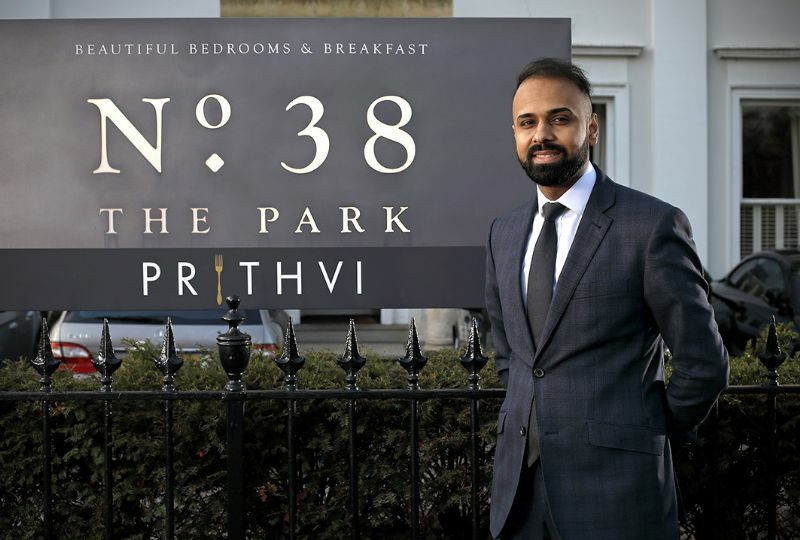 The Local Answer was invited to an exclusive dinner to celebrate the relocation of Prithvi, where guests were treated to mouth-watering canapés followed by a three-course meal. The first course was a delicious lamb and split pea lentils starter, paired specially with a red wine by Prithvi owner Jay Rahman. This was followed by a sea bass main accompanied by a crisp white wine, which for many was the highlight of the meal. Both courses were packed with flavour, and the Indian style that Prithvi is so famous for was clear, yet subtle. For dessert, diners had the choice of either rhubarb parfait with a coconut crumble, or chocolate mousse with rose water frozen yoghurt. Both dishes were light palette cleansers and perfectly rounded off the meal. The grade 2 listed Georgian townhouse that No.38 is situated in provides the perfect location for the restaurant, and inside the décor is modern and stylish, while managing to create a warm and friendly atmosphere. Prithvi at No.38 will be open for dinner seven days a week, as well as for lunch on Thursdays, Fridays and Saturdays. The restaurant seats 56 in the main dining room as well as eight in a private dining space, where there will be a live stream from the kitchen giving the feeling of an intimate Chef’s Table.